You’ve got a new client- yay! Now how to you get them to stop asking so many questions? I mean, they’re excited and ready to roll, but man- you’re answering the same questions over and over again. Enter the client welcome packet. Any interior designer or other service based business needs a client welcome packet. But here’s the real trick- you need to design it in a way so client will actually read it- be excited to read it! Then you can get back to doing what you love doing- and that ain’t answering a bunch of questions! 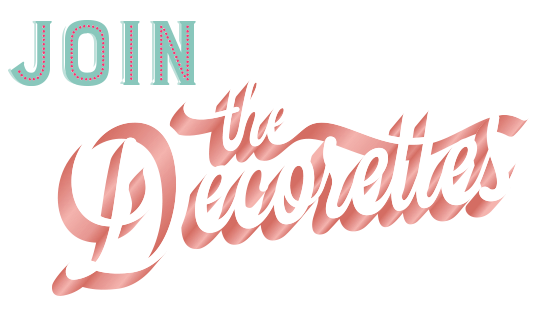 Tune in to this week’s episode of The Decorettes to learn how we create client welcome packets that impress! The magic of the client welcome packet! How they establish your working preferences. Want to impress the pants off of your clients and implement your oh-so-important boundaries so you can streamline your business and work less? You need a well thought-out client welcome packet, and Jessica has a free workbook to help you get started. It walks you through the exact content she has included to onboard over 150 interior design projects! get your free client welcome packet workbook! You know that client welcome packet? The one you need to have to onboard your clients, have a smooth working experience, and have them rave about you to all their friends (hello referrals!)? This month in the VIP Lounge we’re hosting the Client Welcome Packet Challenge, and we’re even giving you $10 off of Jessica’s Client Welcome Packet Kit! And to make the client experience even more referral-worthy, this month’s book club is all about creating a word-of-mouth strategy! get access to the vip lounge!